The groundbreaking report release last fall by the Institute of Medicine and the Robert Wood Johnson Foundation on the Future of Nursing. This report provides a blueprint for action to shape a stronger, more effective nursing presence in health care. It also opens doors of opportunity for nurse scholars. Nurse researchers played a key role in shaping the substance of the report, and in the months ahead, the Robert Wood Johnson Foundation will publish a national research agenda based on the report’s recommendations. You can sign up for alerts on funding opportunities related to this agenda at www.rwjf.org. I recently invited Lori Melichar and Susan B. Hassmiller to share their thoughts about the role of nurse scholars in fulfilling to vision of the future that the report sets forth. Nurse researchers played a crucial role in producing the evidence that resulted in the recommendations from the landmark Institute of Medicine report, The Future of Nursing: Leading Change, Advancing Health. Now they must play an equally important role in conducting the necessary research to advance the recommendations. We’ve been amazed in our travels throughout the country about the enthusiastic response that this report has generated. Nurse leaders and their allies – other health professionals, consumers, hospitals and health care systems, business, philanthropy and government – are determined to further the recommendations to transform our health care system and improve patient care. In fact, they’re already hard at work. While state leaders are encountering resistance to some of their efforts (it is hard work to change policy, practice and culture), they are, more often than not, receiving affirmation from a range of stakeholders that patient care matters most. Each day, we add to the long list of partners engaged in these efforts. 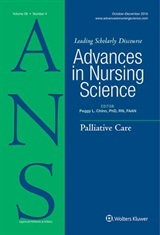 When obstacles emerge, in the form of fear of the unknown or a misunderstanding of the value of system change, we must seek to identify, translate, and, in some cases, generate evidence that makes it impossible to deny what we all know to be true: that nurses are integral to enhancing access to care, improving quality and containing health care costs. Nurses also can play a pivotal role in preventing illness and promoting wellbeing. The Robert Wood Johnson Foundation will continue its efforts to bolster the quantity, rigor and relevance of evidence that relates to the work and workforce of nurses. We will soon release a national research agenda based on the research priorities made by the IOM committee. We will also coordinate a multi-funder initiative to identify, synthesize and produce evidence to address these priorities. The foundation will share proposals that are responsive to this agenda with a range of funders that have expressed an interest in supporting scholars in their efforts to advance nursing science, policy and practice. It is our hope that by focusing attention on a single agenda and reducing the transaction costs associated with finding, scoring and funding research projects, we can accelerate the rate at which such important research finds a funding partner. More information will be available in June at www.thefutureofnursing.org. Please sign up for content alerts at www.rwjf.org to ensure you are notified of this important funding opportunity. Stay tuned, spread the word and please send us your proposals to generate research to motivate and guide implementation of the groundbreaking IOM recommendations. Your research matters now more than ever and is helping to help transform health care and improve patient care. Nurses are indeed scholars and should be valued with just as much respect as doctors. We all ahve the same potential.